The Smart is small but it could also be deadly. Engine fires have become uncomfortably common of late. The US National Highway Traffic Safety Administration has investigated many cars including the sporty Mini Cooper S and the overly priced Fisker Karma. Even sports car manufacturers like Porsche and Ferrari have had issues with engine fires certain models. 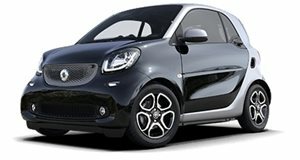 The NHTSA has now turned its sights to something much smaller, the Smart ForTwo. According to Automotive News Europe, the 1.0-liter three-cylinder engine in the ForTwo may catch fire and consume the car. Eight complaints have been filed about the rear engine compartment in 2008 and 2009 ForTwo models. The NHSTA says that Mercedes-Benz, which builds Smarts, is unaware of any injuries related to this problem. Of the eight complaints, six occurred while the car was being driven. Drivers said that the check engine light came on and they noticed smoke and noises before stopping and discovering the fires. The two other drivers said that they noticed the problem when they were stopped. In all eight cases, the fires were “severe” and “rapidly engulfed” the entire vehicle. There are 42,875 2008 and 2009 ForTwos in the US which could be affected. A representative from Mercedes-Benz said that this probe is not a full-scale investigation. The NHTSA always carries out a preliminary evaluation before moving forward. Mercedes issued a statement which read: "The safety of our customers is our primary concern, and we are cooperating with NHTSA in its inquiry. We are not aware of any injuries related to this inquiry." We hope that Mercedes finds a solution because no one likes to think that they're driving around in a potential fireball.